Adopting an alternative fuel shouldn’t be a hassle. When Sharp Energy converts a vehicle fleet to operate on propane AutoGas, we provide onsite AutoGas fueling at your fleet base at no upfront cost to your organization. An onsite AutoGas fueling station makes the transition to AutoGas a seamless process for you and your drivers. AutoGas fueling is easy with no-spill dispensing equipment that operates similar to a gasoline fuel pump. Sharp Energy keeps your fleet up and running on AutoGas with a guaranteed year-round fuel supply from our experienced fueling network. Our relationship is just beginning the day you convert your fleet vehicles to run on AutoGas. We’ll provide an AutoGas education for your in-house technicians, drivers and anyone else in your organization. Beyond basic training, our program provides the technical, safety and ongoing support fleet customers need to be successful. AutoGas is a safe, proven and reliable fuel. Thousands of school buses and taxicabs across the U.S. are already safely fueled by AutoGas, partly because AutoGas is intrinsically safer than many other fuels. A properly installed AutoGas tank can actually add to the structural integrity of a vehicle. 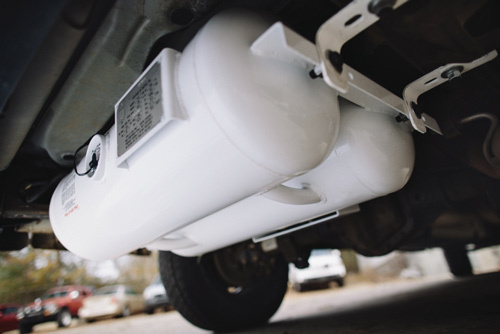 Alliance AutoGas tanks are 20 times more puncture-resistant and can withstand 4 times the pressure when compared to conventional gasoline vehicle fuel tanks. The lower pressure required for storage makes AutoGas safer to maintain than CNG. AutoGas vehicle tanks are constructed from carbon steel under code developed by the American Society of Mechanical Engineers. 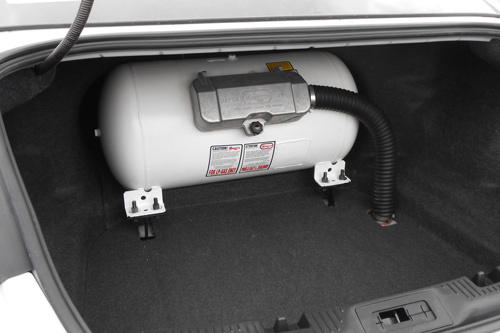 Properly installed AutoGas vehicle fuel tanks can actually add to the structural integrity of a vehicle. 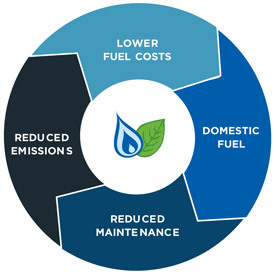 AutoGas has a lower flammability range than conventional gasoline, decreasing the probability of accidental combustion. The onsite AutoGas fueling station has an automatic system shut down with a breakaway device for the station. The cars have an automatic shut down device on the tank when there is a drop in pressure the propane flow is stopped. Unlike gasoline, diesel, methanol and ethanol, AutoGas is nontoxic, nonpoisonous and insoluble in water. Should a rare accidental release of AutoGas occur, it would dissipate into the atmosphere with no harmful contaminants released into the air, soil or water.